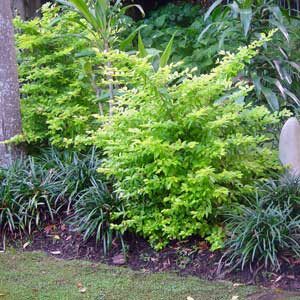 An attractive shrub with golden foliage. 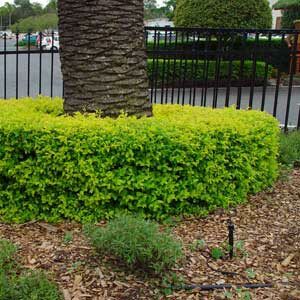 Has lavender-like flowers followed by long-lasting red berries. Suitable for hedging. Requires full sun and good drainage. Prune as required. Reaches up to 3m tall, 2m wide.